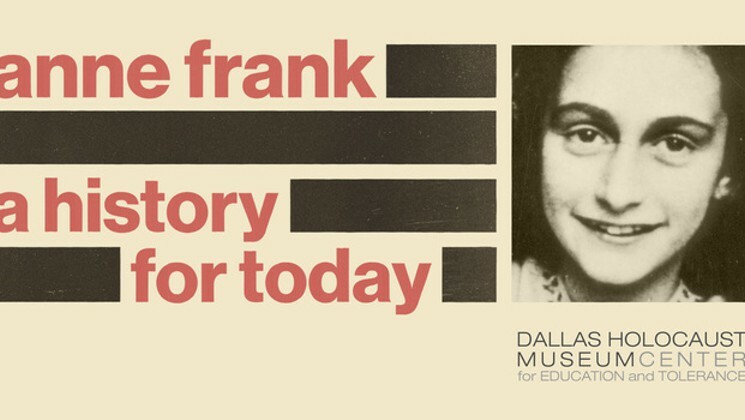 Join us at the Museum this Friday for the kickoff of Big D Reads – a read-in event from 10 a.m. to 12 noon at which community leaders will read selected passages from this year’s featured title, Anne Frank’s The Diary of a Young Girl. 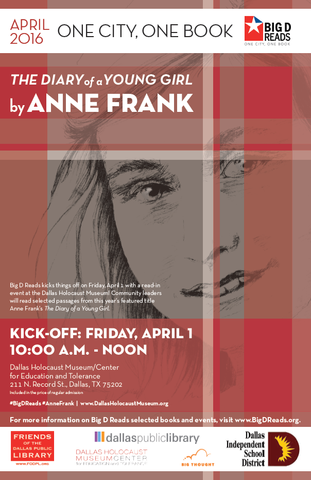 A community service project throughout the month of April, Big D Reads seeks to engage the Dallas community in a city-wide reading experience as well as special events such as educational discussions and read-ins that tie into Anne Frank’s inspirational story. 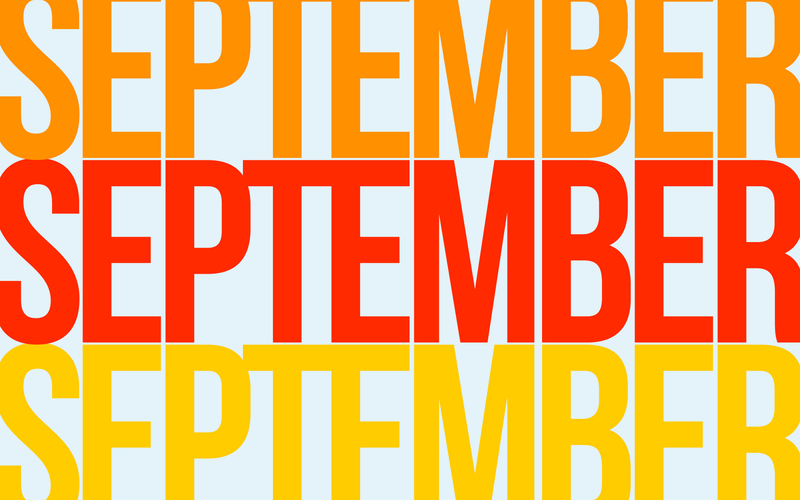 Each program features readings from The Diary of a Young Girl, followed by a short discussion and learning activity. The Spring Break programs will be held Mondays through Thursdays, March 7 through 24 at 1:30 p.m. Be sure to RSVP. In 1939, Poland was home to a thriving Jewish community of 3.5 million people—folks who made their households and livelihoods in cities, villages and farms across the vast country. Six years later, barely 300,000 Jews survived in Poland. The Holocaust—and the Nazi’s Polish-based death camps—resulted in the murder of 3.2 million Jews from Poland, some 90 percent of the country’s Jewish population. Repercussions of this crime against humanity continue today, but there is renewed hope in Poland for Jews. And Rabbi Michael Schudrich, the American-born Chief Rabbi of Poland, may well be the No. 1 reason why. Rabbi Schudrich was the special guest of the Museum’s Upstander Speaker Series on June 4 at the Jewish Community Center of Dallas. 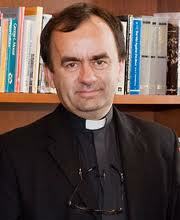 Appointed Chief Rabbi of Poland in 2004, he has played a central role in the country’s Jewish Renaissance. Indeed, since the fall of Communism in 1989, a growing number of Poles have learned of their Jewish roots, and Rabbi Schudrich is the person they often turn to for guidance. Today, about 25,000 Jews call Poland their home. As Chief Rabbi of Poland, Rabbi Schudrich spends much of his time counseling people who have discovered—or who are trying to determine whether—they are, in fact, Jewish. After World War II, most Jews living in Poland who survived the Holocaust left the country—many to Israel—and those who remained were forced to hide their Jewish identities under Soviet Communism. These revelations of newly found Jewish identity—Rabbi Schudrich called it the discovery of “the spark of the Jewish soul”—are transforming lives and, albeit slowly, Poland itself. Rabbi Schudrich was one of three Jewish leaders in Poland recently awarded prestigious Bene Merito Medals in recognition of their actions in promoting Poland abroad. 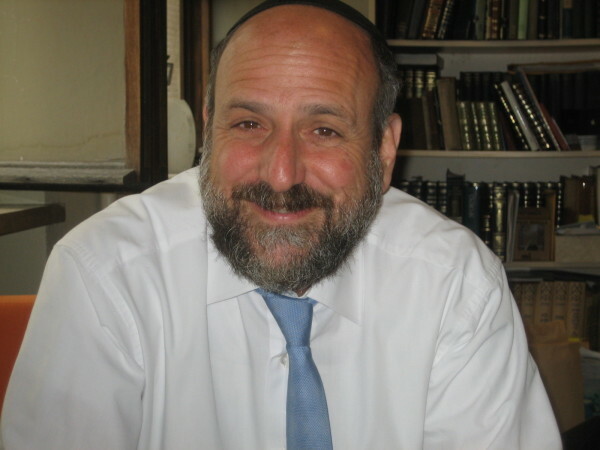 Born in New York City, Rabbi Schudrich attended Jewish day schools there and graduated from Stony Brook University in 1977 with a Religious Studies major and received an MA in History from Columbia University in 1982. 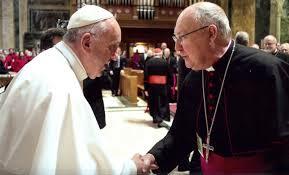 He received Conservative smicha (rabbinical ordination) from the Jewish Theological Seminary of America and later, an Orthodox smicha through Yeshiva University from Rabbi Moshe Tendler. He served as rabbi of the Jewish Community of Japan from 1983 to 1989 before moving to Poland in 1992. Be sure to join us for our next Upstander Speaker Series on October 15 when Lieutenant-General Roméo Antonius Dallaire, a Canadian humanitarian, author and retired senator and general, will be the special guest. 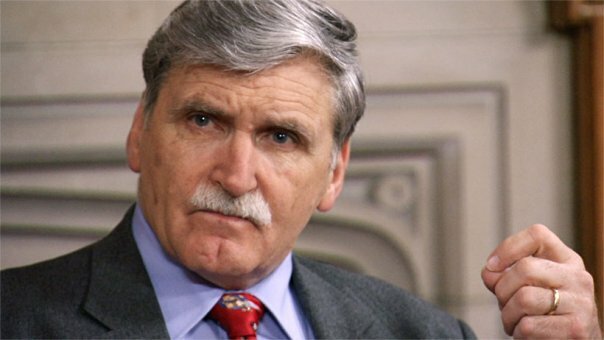 Dallaire served as Force Commander of UNAMIR, the ill-fated United Nations peacekeeping force for Rwanda between 1993 and 1994, and attempted to stop the genocide that was being waged by Hutu extremists against Tutsis and Hutu moderates. The Upstander Speaker Series is sponsored by Real Time Resolutions and is supported by The Dallas Morning News, G&H Ventures, LLC and Humanities Texas. This project was made possible through a grant from Humanities Texas, the state affiliate of the National Endowment for the Humanities. And, don’t miss out on seeing the Museum’s Special Exhibit, “The Wartime Escape,” which chronicles Margaret and H.A. 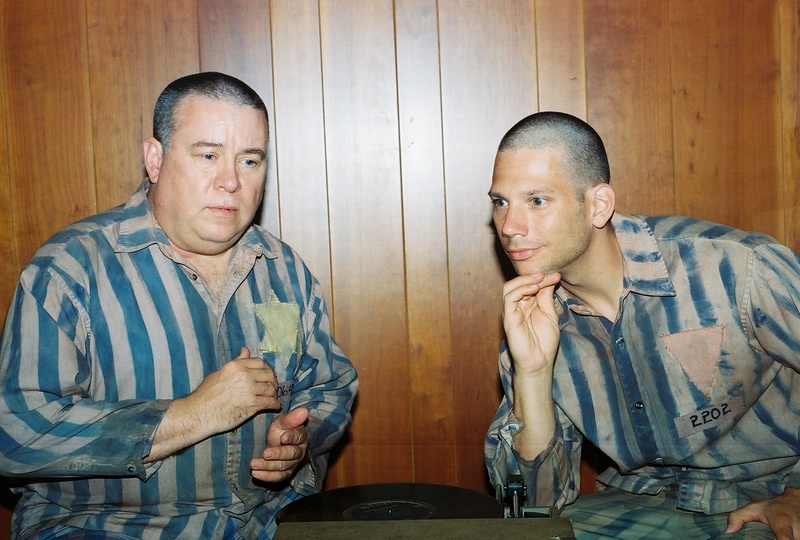 Rey’s (creators of Curious George) escape from the Nazis. 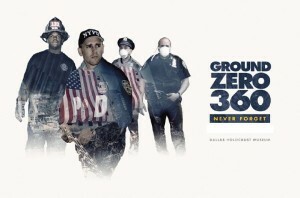 The exhibit closes on June 20.